Khalid block is a developed residential block with least number of houses built so far. There is only one residential plot size i.e. 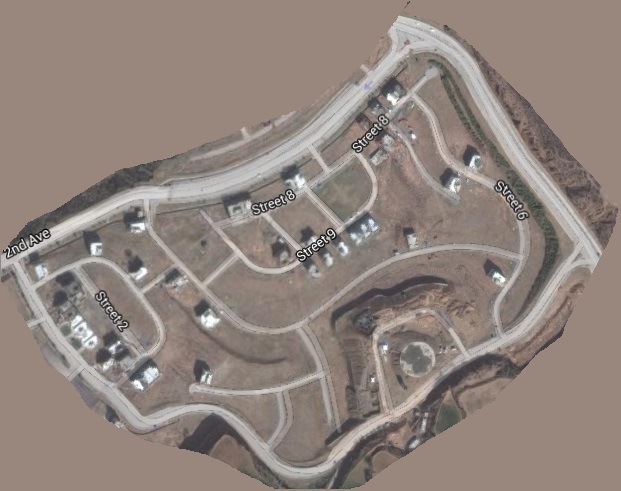 7 marla or 30×55 in Khalid block, however the map is designed in such a way that there are various curves on streets and extra land is added to plots due to curved shape. Likewise, most of the corner plots have extra land. 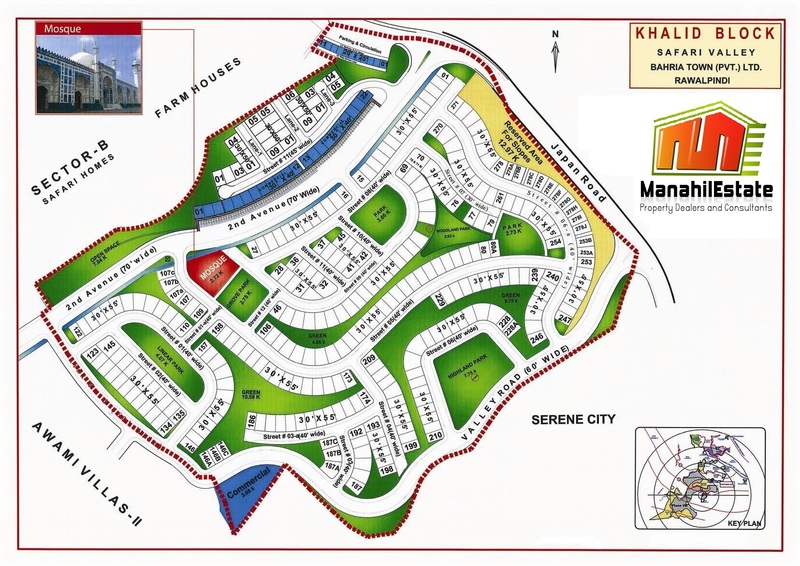 There are also few commercial plots of 5 marla size i.e. 30×40, which are developed and ready for construction. There are many parks and green areas planned in Khalid block, however this is going to take some time before actual beautification work can be accomplished. Average prices in Khalid Block for 7 marla plots range from 30 to 40 lac rupees. Plots with extra land have a little higher price than general plots, still this additional feature can add to the value of your property as it provide you ample space to carve out a small personal lawn or car parking annexed to your house. If you are looking for investment options in Bahria Town, you can consider Khalid block as a good option to consider in Safari Valley, and it is also a good option if you want to buy a developed plot at lower price for construction of your house. Since this block is least populated, prices are comparatively lower than other neighboring blocks, however the location is appealing which lies amidst the major projects of Bahria Town. If you want further information on Khalid Block, you can contact us using the information given on contact us page.